New elements such as a stand-up paddleboard race, expanded programming and even more music serve to keep Campout for the Cause fresh. Campout for the Cause takes place Friday, June 3, through Sunday, June 5, with early entry on Thursday, June 2. For more information or to purchase tickets, visit www.campoutforthecause.org. Growing a grassroots experience while keeping the original spirit can be a difficult task: Get too big too fast, and you loose the essence; neglect to grow at all, and you’ll stagnate. Campout for the Cause, now in its eighth year, has found the sweet spot. 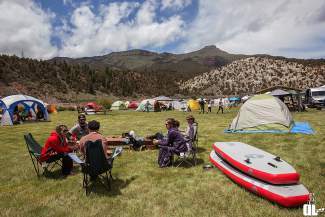 With expanded programming, including the new Stand Up Paddle Colorado Invitational, this year’s Campout offers attendees even more to love but retains the family-friendly, low-key vibe that defines the event. For the first time, Campout for the Cause is taking place the weekend after Memorial Day, Thursday, June 2, through Sunday, June 5, instead of over the holiday weekend. The feedback, said Scot Stoughton, founder and festival organizer, has been positive. Pushing the event a week will get people excited about being on the river and cued up for the upcoming Go Pro Mountain Games, Stoughton said, which take place the following weekend. Leading the enthusiasm will be the Stand Up Paddle Colorado Invitational, a new event on Sunday, June 5, that will take racers on the Upper Colorado, a four-mile stretch that’s similar in length to the stretch of Gore Creek that competitors take on in the Go Pro Mountain Games. “I do expect people to use it as a training and warm-up event for Mountain Games,” said Bradley Hilton, of Stand Up Paddle Colorado. However, Hilton said the goal was to make it accessible for various levels of paddlers — not just pros. The stretch of river for the competition isn’t quite as difficult as the Class III rapids of Gore Creek. Additionally, there will be a race that afternoon at Rancho del Rio on gentler water. Other water events include a Colorado River Surf Co. Expression Session, a free community surf event, at Gore Wave at 10 a.m. on Saturday. Also new this year is The Bend, a space curated by Colorado-based yoga and adventure company In Your Element. Featuring workshops that highlight various topics such as permaculture and nutrition, The Bend is a dedicated space where festivalgoers can hang out during the day, learning and interacting with other people. Featured yogis include Gina Caputo, Rachel Nelson, Julia Clarke, Bobby L’Heureux, Moonstone Jackson, Mariah Schuette and Fuller. In addition to the multiple yoga classes on the land, there will also be an opportunity to practice poses on a stand-up paddleboard. It’s no secret that the event is an anticipated experience for the bands, as well as the attendees. Joe Lessard, who plays violin and sings with headlining band Head for the Hills, said Campout for the Cause is one of their favorite events of the summer due to several factors, including having a good team to work with in Bonfire Entertainment, the setting on the river and the fact that it’s connected to giving back to causes they care about. 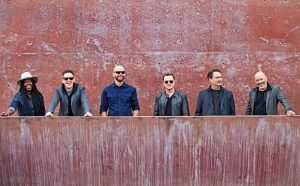 Head for the Hills is just one of the bands that will be playing — and hanging out — over the weekend. It’s an opportunity for them to bring their families and recharge, Lessard said, and to have a little fun; maybe even try some paddleboarding. The live music starts at 4 p.m. on Friday and 3 p.m. on Saturday and Sunday during the festival. Headliners include Head for the Hills, Paper Bird, Trout Steak Revival, The California Honeydrops, Drunken Hearts and The Lil’ Smokies. 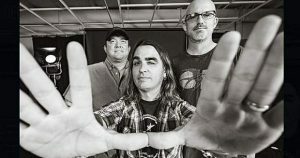 Performers on The Soapbox stage include We Dream Dawn, Tyler Grant and Old Salt Union. 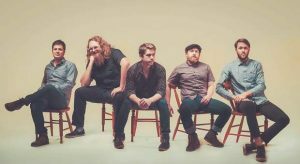 The Thursday evening early entry features an exclusive campfire family jam with The Lil’ Smokies. Though Campout for the Cause continues to grow, it retains its original roots: combining music and community to celebrate the outdoor lifestyle. New elements such as the SUP race, expanded programming and even more music just serve to keep it fresh. It’s like stepping in a river: Though it looks familiar, you can never step into the same river twice. Tickets are now on sale for Campout for the Cause. All yoga, lifestyle workshops, live music and camping are included in the $119, three-day festival ticket price; $20 early entry is available on Thursday, June 2, for three-day pass holders. 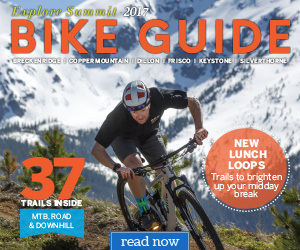 All net proceeds from the event benefit 2016 Campout nonprofit partners Big Heart Big Hands, which raises money for mountain rescue organizations; the Education Foundation of Eagle County; and Children’s Global Alliance, which offers large-scale volunteer opportunities for children ages 12 to 16. For more information or to purchase tickets, visit http://www.campoutforthecause.org.